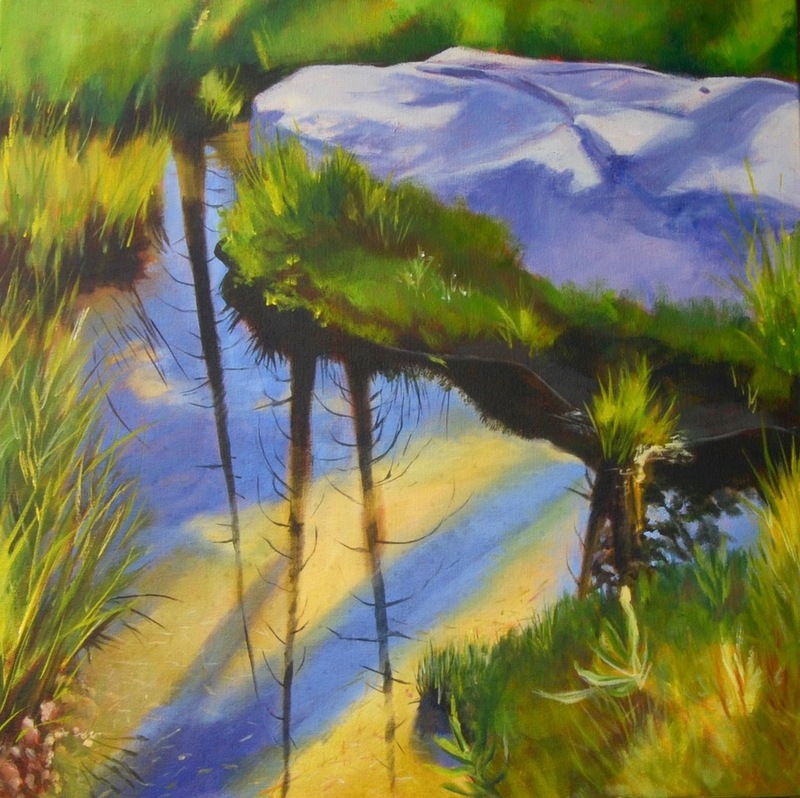 Three local artists – Lisa Wiser, Jan Rimerman, Jani Hoberg – share their passion for depicting local scenery ranging from a broad perspective to the tiniest detail often left unnoticed. Impassioned by the flora and fauna of the outdoors, artists Jan, Jani and Lisa found common roots in their hometown of Lake Oswego, Oregon, growing up near the shores of Oswego Lake. Intrigued and inspired by the motion of water and what lies beneath and the love of forests and what rests above, they discovered a simpatico of repeated themes in their work. As art educators, curators and practicing artists, each in their own right, the women unleashed their 35+ years of artistic practices to weave together “Three Squared: Line, Layers and Light." The two painters and one printmaker believed that an exhibit collaboration, in an often solo exhibition world, would satisfy both a love of working together and create an opportunity to blend their individual prints and paintings for a cohesive visual impact. To enhance the exhibit all work will be executed on a square format in varying sizes. We honor the familiar square format to be symbolic of honesty, security and stability in the natural physical world at a potentially vulnerable time.